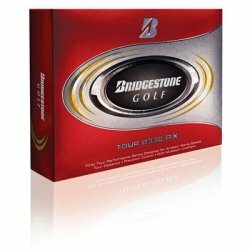 Do you have a golfer on your list for the Holidays and you just have no idea what to get him or her? Well, this list will help you with your decision. As a long-time golfer I've received plenty of golf gifts throughout the years - some great and some not so great. I will present my top 10 golf gift ideas for the Holidays which is sure make your gift buying a lot easier. Golfers are also technogeeks. We deal with numbers in golf whether it be yardages or score or averages or handicaps. 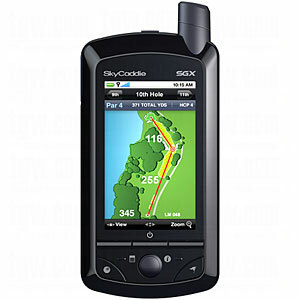 There no better way to satisfy our love of golf and electronic gizmos than to have one of these new Golf GPS devices. The devices use GPS satellite signals to give the golfer an accurate yardage to the golf hole or to any of the hazzards on the course such as bunkers or water. No longer does the golfer have to search around the ground to find the yardages on a hidden sprikler head. The newer models combine GPS yardages with scorekeeping and the tracking of golfing statistics such as greens in regulation and number of putts per round and fairways hit. Even more accurate than the Golf GPS devices. 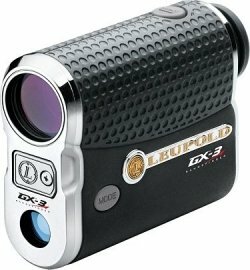 A rangefinder is a bicocular type device that you look through to obtain accurate distance readings. Rangefinders use a laser to calculate yardages and unlike the GPS devices which give you limited waypoints for yardages, you can pretty much aim at anything within 300 yards and get accurate yardage listings. Most golf professionals use rangefinders in calculating yardages because of their accuracy. No longer are golf shoes big, bulky and ugly looking. The latest golf shoes not only have technology to keep the golfer stable during the golf swing but also are comfortable and look cool. 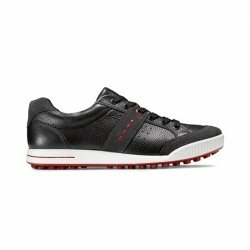 Some of the newest shoes are so comfortable that you wish you could wear them off the course too. If anyone tells you that they don't need or want golf balls as a gift they are lying. Golfers always needs golf balls and they are always looking for that special new ball that will add 20 yards to their drives or fly straighter and land softer. Todays golf balls have the biggest impact on shot-making and distance. There isn't one golfer that would be upset if you got them the latest Titleist Pro V1, TaylorMade Penta TP, or Biedgestone 330 balls. Ask a golfer what their favorite club is in their bag and most would say their driver. Also ask what club would you most like to replace and you would probably get the same answer. Out of any club in the bag, the driver is the most loved and hated. It also is the club that contains the most technology and can effect your golf game the most. 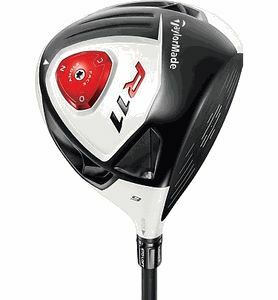 Every golfer wants to add distance to their shots and the latest drivers are made to be easier to hit with larger sweetspots and lighter weight which all adds up to more driving distances. After the driver, the putter the second most "upgraded" club. Golfers are always looking for that special putter that just feels comfortable and gives them confidence to knock every putt in from within 20 feet. Unlike drivers, putters are usually more affordable so golfers will experiment with several models before choosing one that will make the cut and enter their golf bag. Remember "Drive for show but Putt for dough!" When not playing golf golfers are either thinking about golf or practicing golf. We are always looking for that special training aid that will correct all the swing issues we have. Today there are golf training aids in all shapes and sizes that claim to correct anything from a slice or a hook and add distance and accuracy. In addition to keeping your clubs safe and secure a new golf bag also make a golfer look good. The latest golf bags have all the storage capacity needed to safely haul 14 clubs in addition to the other accessories like balls, tees, gloves, and rain suits. They pretty much all do this while weighing less than 10 pounds so you don't need to be a weightlifter in order to carry your bag for 18 holes. "Real" golfers prefer to walk the course rather than ride a powercart. When you walk a course you get the health benefit of walking 5-6 miles while at the same time being able to talk with your golfing buddies and concentrate on your next shot. For golfers that don't want to carry their bag 18 holes there are many bag carts to choose from ranging from ones that you can push or pull to ones that are electronically driven with a remote control. Golfer like to fill their house with golf related items. One of the top golf related gifts is a ball display case were the proud golfer can display the golf balls used to make that hole-in-one or other special shot. Another cool gift is a golf flag frame where you can display a golf flag from your favorite course.